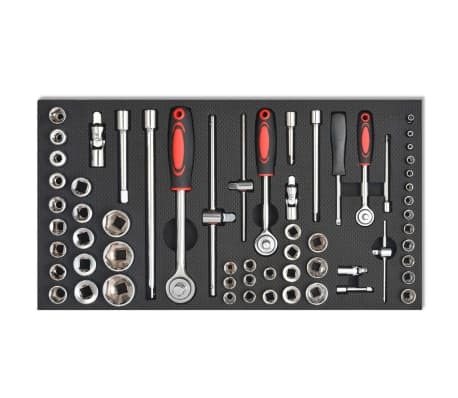 1 x Universal joint, 1/4"
1 x Universal joint, 3/8"
1 x Universal joint: 1/2"
1 x Sliding T-bar, 1/4"
1 x Sliding T-bar, 3/8"
1 x Sliding T-bar, 1/2"
1 x Spinner handle, 1/4"
2 x Square socket, 10 mm: 3/8" and 1/2"
1 x Tongue-and-groove pliers, 9.5"
1 x Combination pliers, 7"
1 x Needle-nose pliers, 6"
1 x Diagonal pliers, 6"
4 x Ring pliers, 6"
1 x Crimping pliers, 8"
This movable 7-drawer workshop tool trolley contains a well-rounded tool set for vehicle mechanics. It includes various tool assortments in 7 layers. Made of high-quality steel, the trolley has a robust and durable construction. 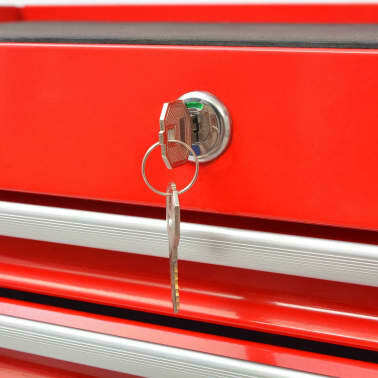 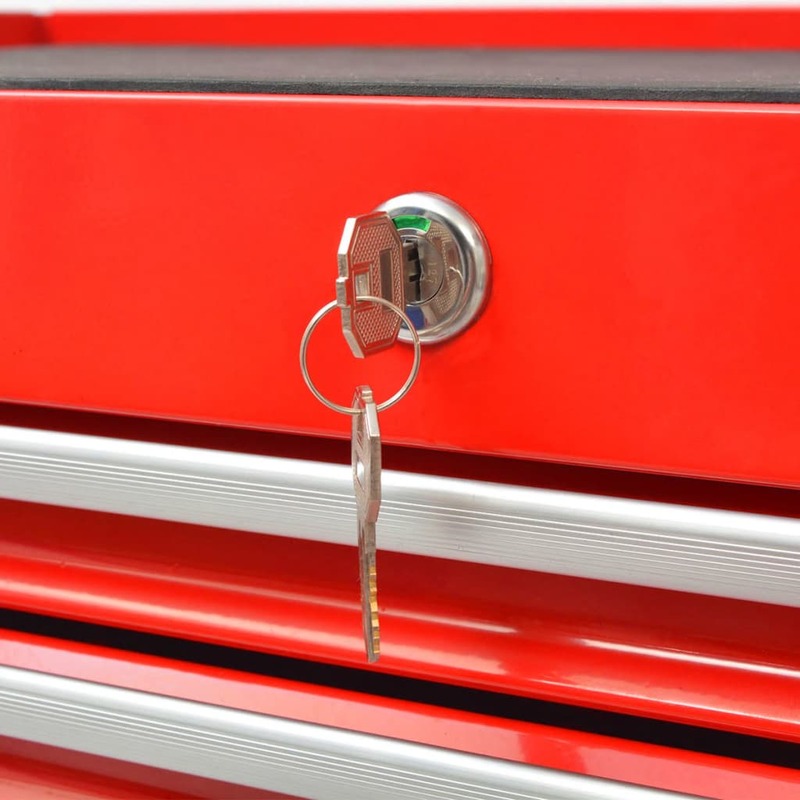 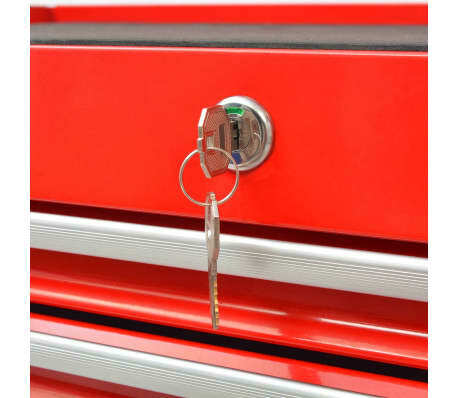 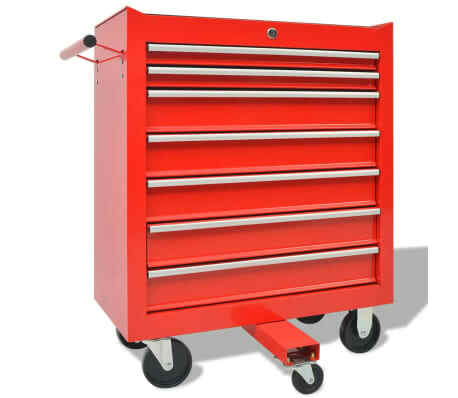 Thanks to the integrated lock, all 7 drawers can be locked at once, which prevents the drawers from opening accidentally when the trolley is being moved. 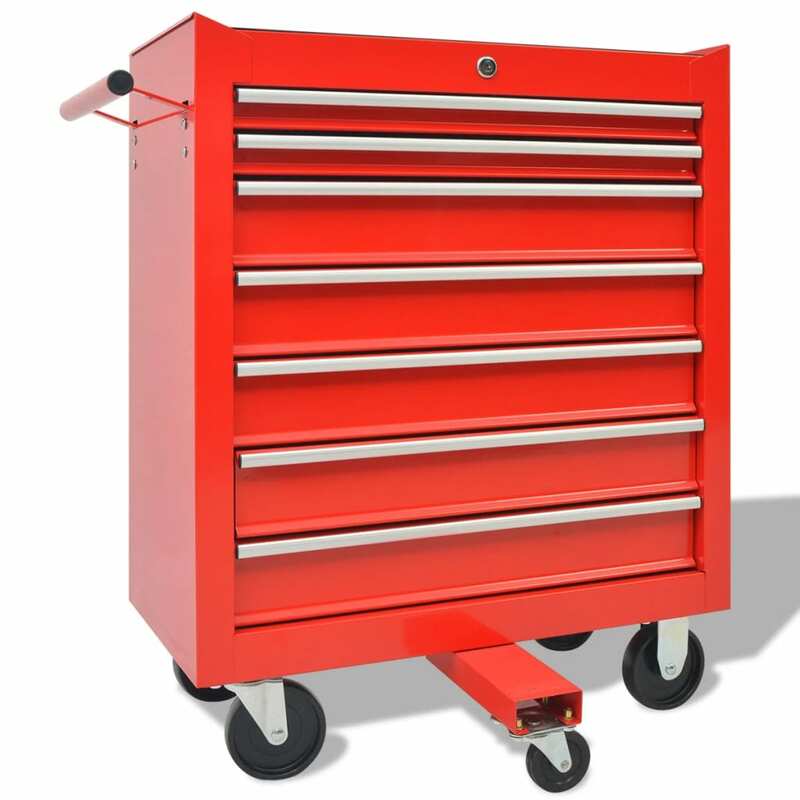 The robust countertop on the tool trolley will be a great spot to keep frequently-used tools within reach. 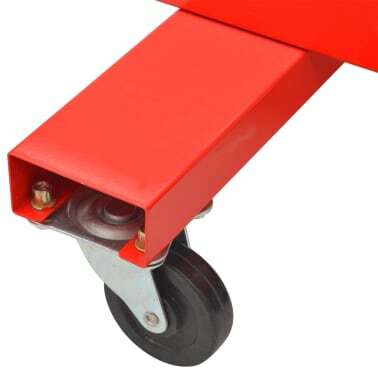 With four swivel castors, two of which have brakes, and an extension bar with a support wheel in front, the trolley can be moved around easily. 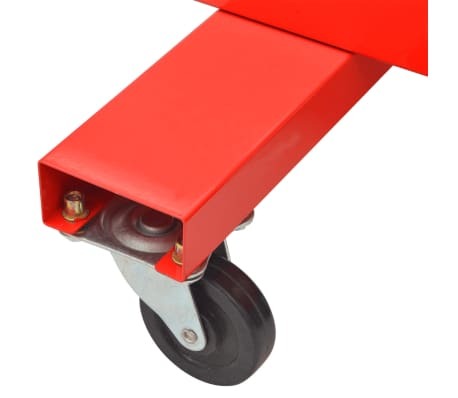 There is also a convenient side handle for pushing the trolley. 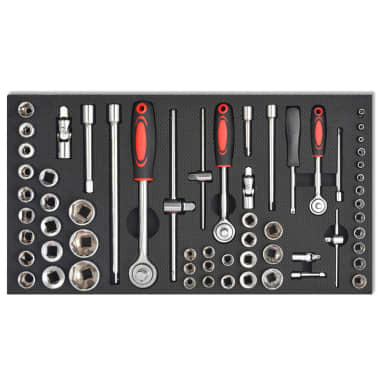 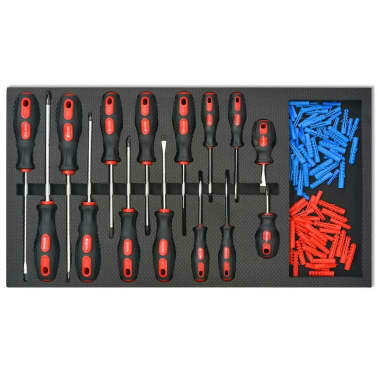 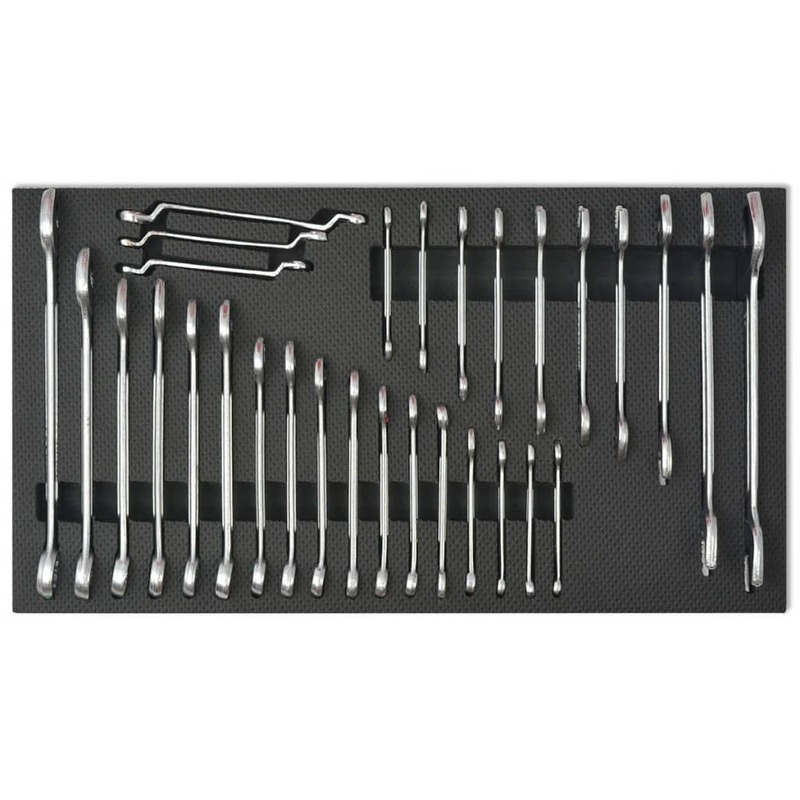 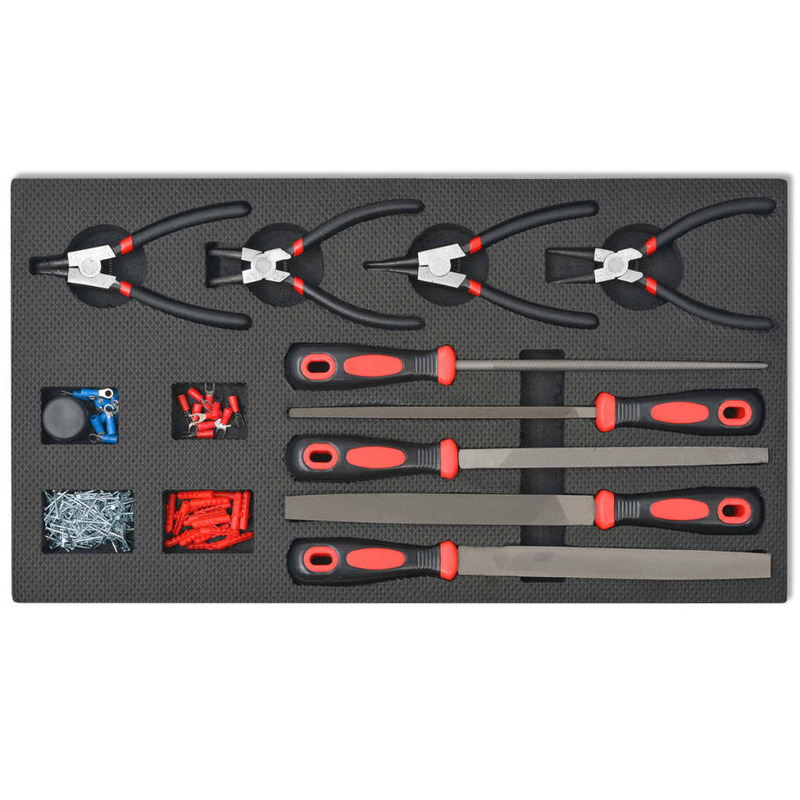 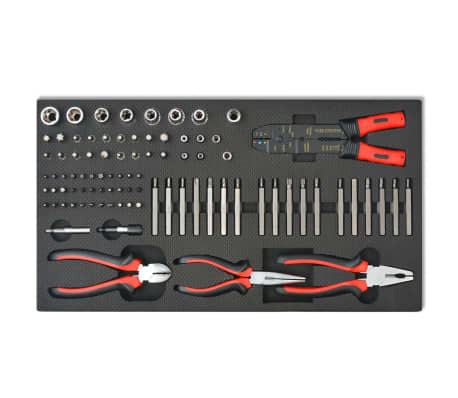 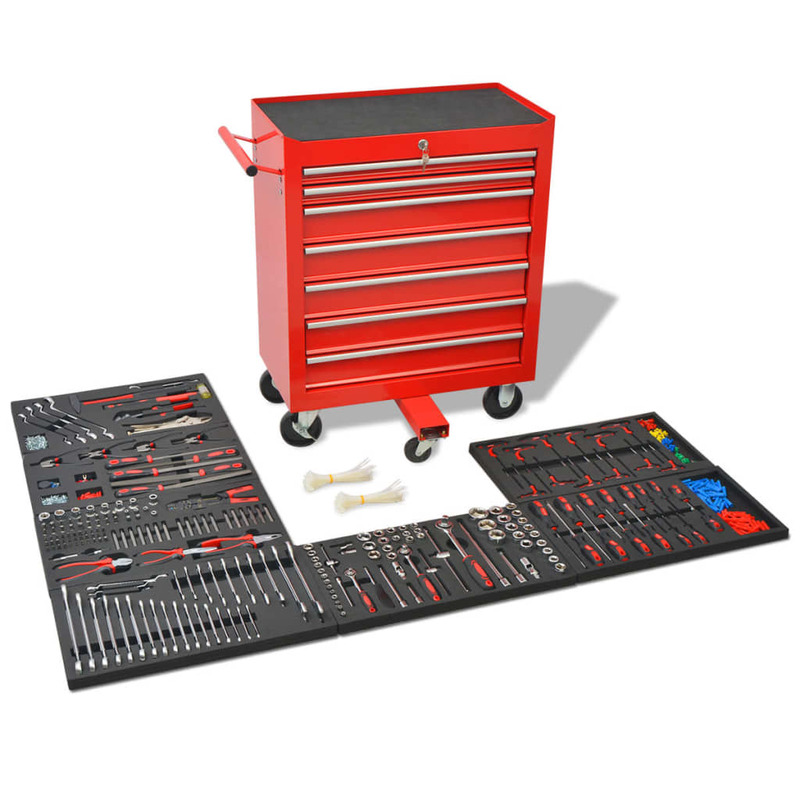 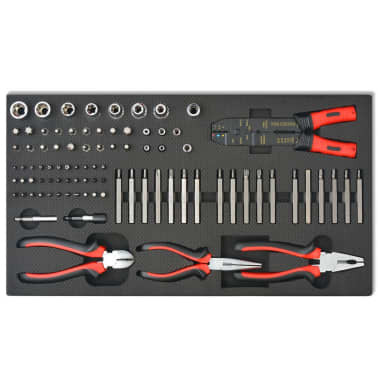 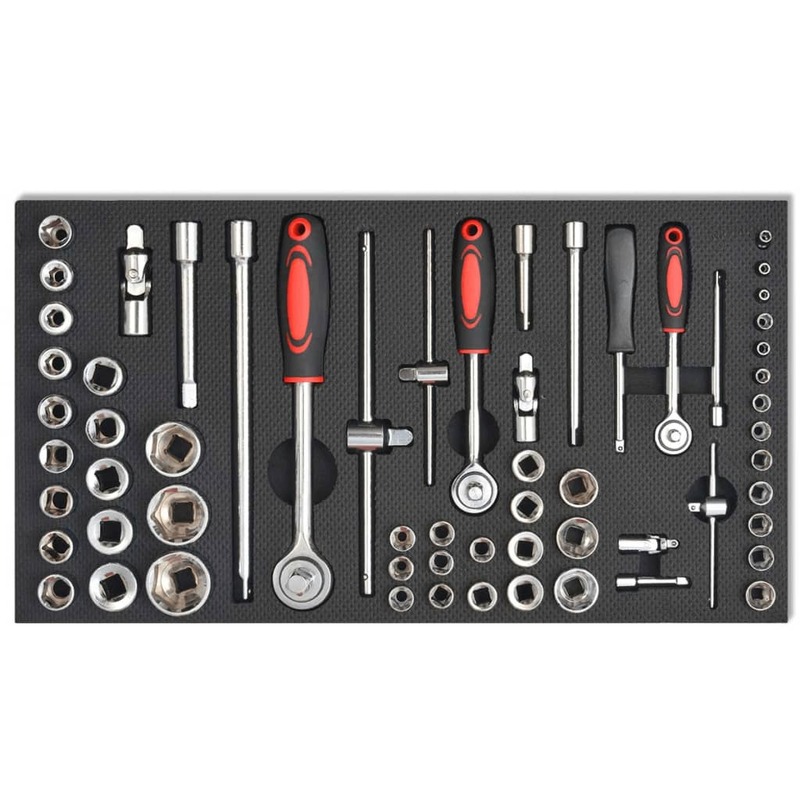 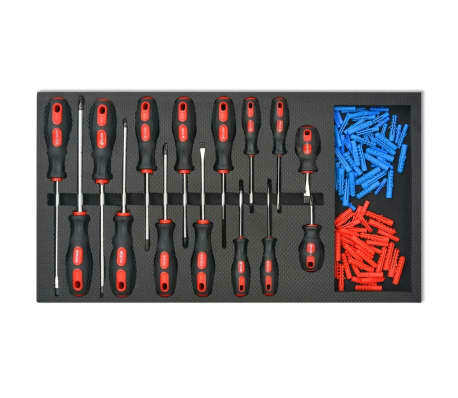 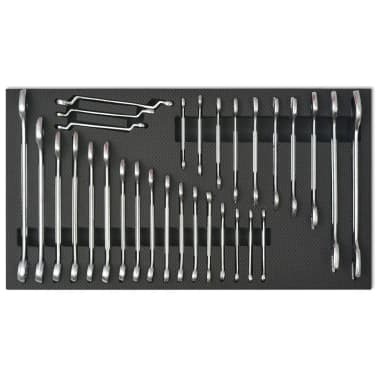 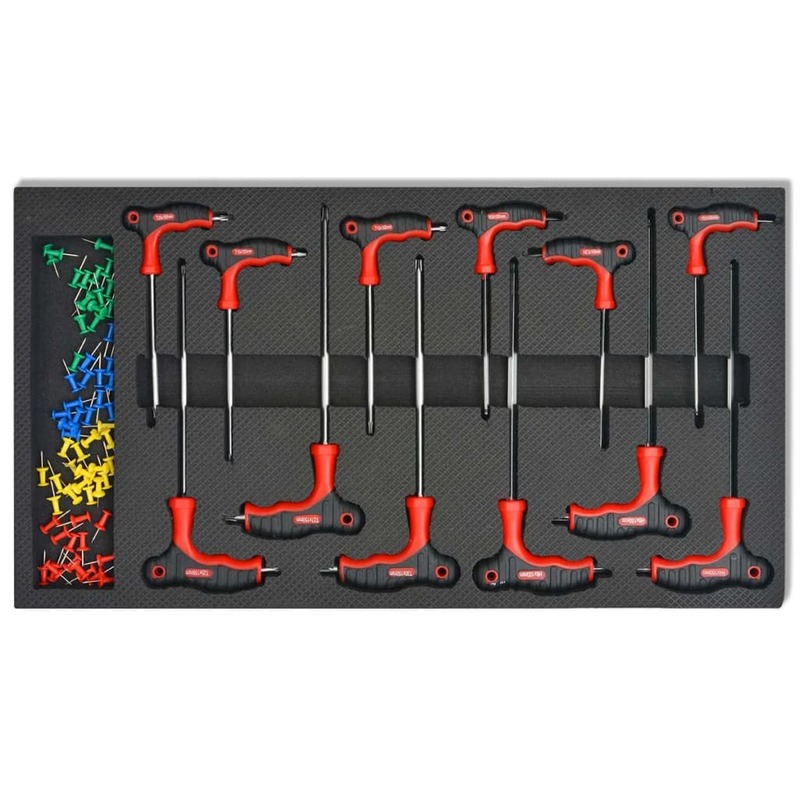 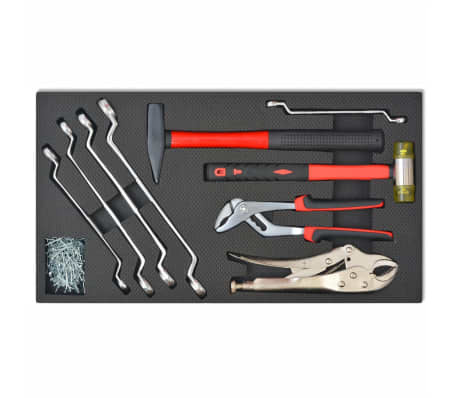 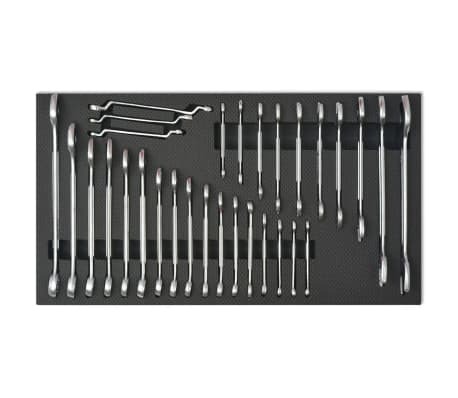 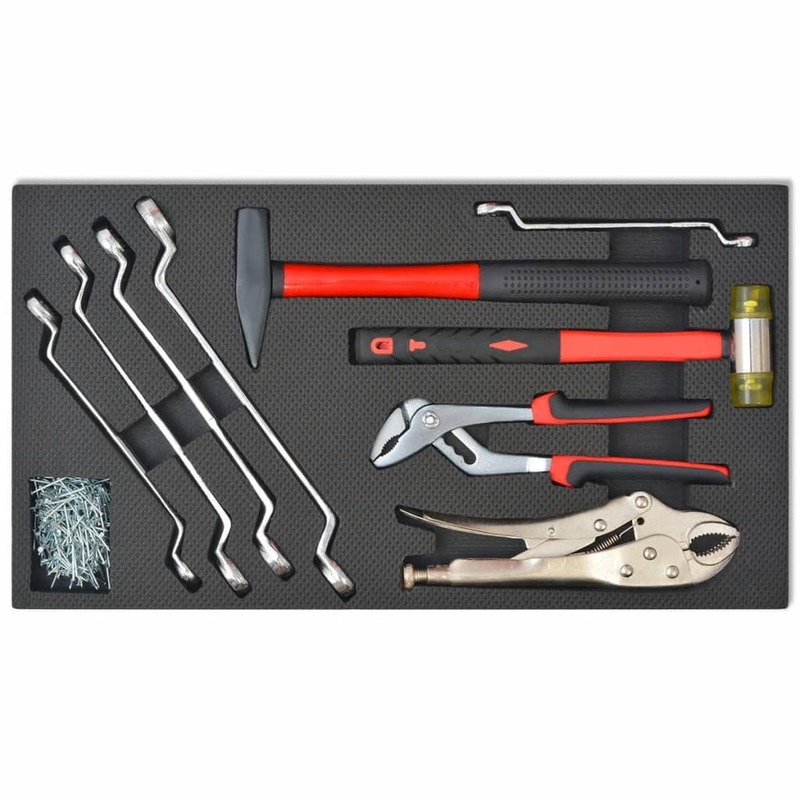 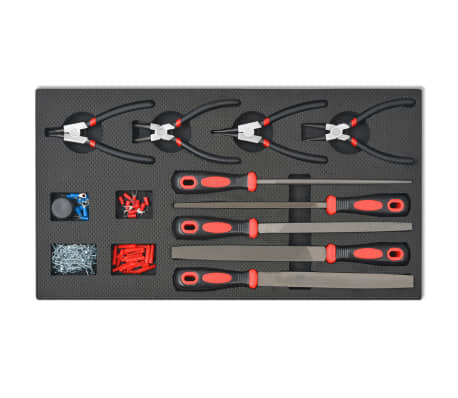 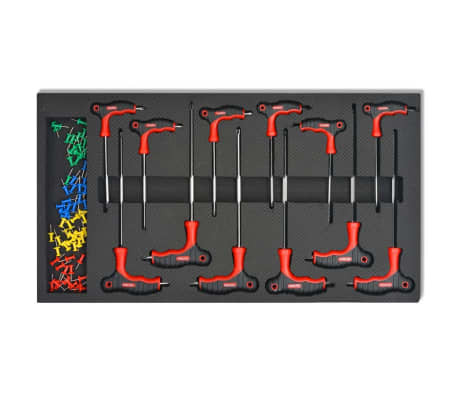 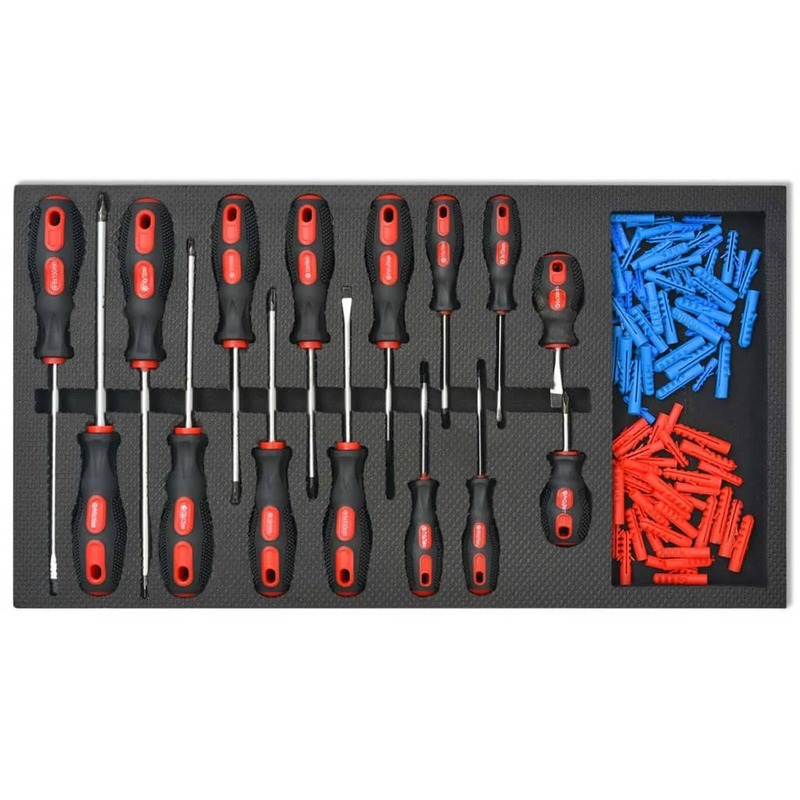 This comprehensive tool set is delivered with 1125 high-quality, professional-grade tools and is ideal for professional mechanics.